With the New Year now well underway, the government has updated the Stamp duty policy for property to help Malaysian citizens make affordable investments, especially those who are buying their first home. Basically Stamp Duty – in Malaysia – is a tax levied on a variety of documents including legal, commercial and financial documents, all of which are specified in the First Schedule of Stamp Duty Act 1949. All transactions including sale, transfer, mortgage and loan are subjected to legal stamps through this Stamp Duty. Fixed Duties – Fixed charges are RM10 per unit, including stamps, policies, and stamps for every copy. And since it is your first house, you are exempted a maximum of RM1500. Again since it is your first house, you are exempted a maximum of RM1500. 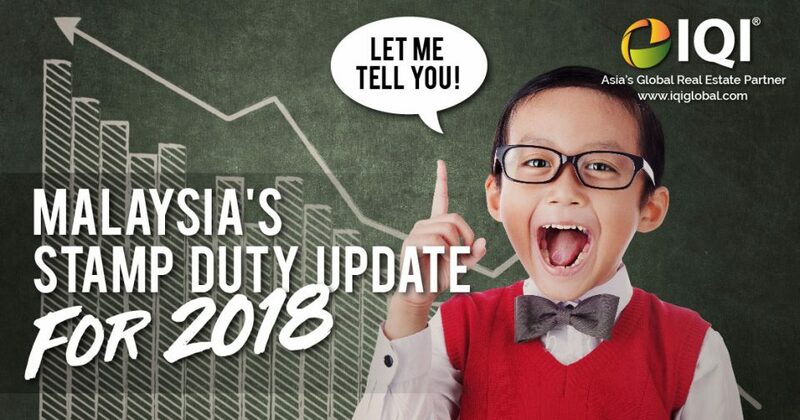 Hopefully you now have a better grasp of stamp duty and how the updated stamp duty has changed things for first time property buyers in Malaysia. hello@iqiglobal.com or call us at 012-299-6155 or 037-450-6655.